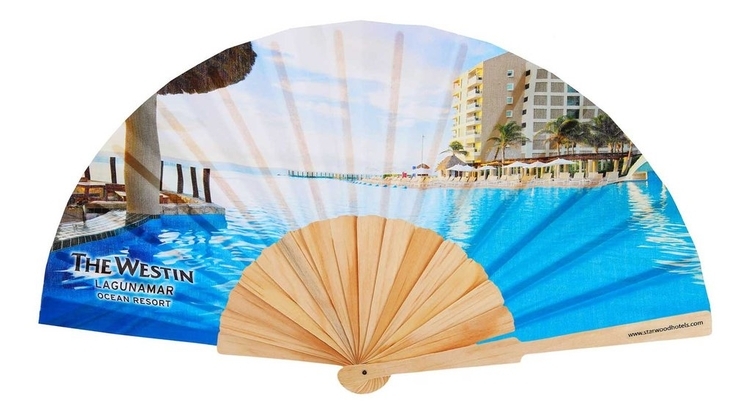 Accordion fan pricing includes ya custom FULL color print on one side of the fan with a wood handle glued to the back and printed on white 100% polyester fabric. Due to the print process and fabric weight and texture, colors/print will not be as vibrant and clear as shown on your proof. Handle may show through where it is glued to the back of the fabric. 14 Day RUSH service available upon factory approval - rush charge will apply. Pricing and production time does not include shipping. Brokerage fees may be billed to you after your order has been shipped.